The Legal Ombudsman move ahead with publication of complaints about the legal profession in England & Wales. SCOTS CONSUMERS officially now face a clear disadvantage in being able to choose a safe or trustworthy Scottish solicitor or law firm to represent their legal interests, after the Legal Ombudsman (LeO) for England & Wales began publishing preliminary details of complaints brought to its attention by clients who felt they had a raw deal from their legal representatives. While the Law Society of Scotland & Scottish Legal Complaints Commission (SLCC) both appear intent on protecting the long term confidentiality & secrecy of the Scottish legal profession’s complaints data, thus ensuring Scottish consumers will not be able to find out their solicitors complaints histories, the move by the Legal Ombudsman south of the border is being seen as an important gesture towards increasing consumer knowledge of common failings of the legal profession typical of many complaints as well as encouraging a shake up in the quality of legal services on offer to the public south of the border. The policy of publishing complaints data in England & Wales is ultimately intended to lead to actual naming & shaming of rogue law firms & solicitors who persistently provide poor services to consumers, an issue I reported on earlier in the month, here : Name & Shame : Complaints data on law firms to be published in England & Wales, Scots solicitors complaints history to remain secret, for now. The complainant, Ms X, was about to buy two properties in Europe when she discovered that the developers hadn't built the homes to the required specification. She decided it was time to involve a lawyer and found one who was based overseas but regulated in the UK. Given a costs estimate at the start, with one amount for initial advice and negotiations, and an additional figure if the case went to court, Ms X engaged the lawyer's services. When negotiations broke down with the vendors, Ms X was told that the court costs would be £2,500 more than she was originally advised. When she asked why, her lawyer told her that her case had generated more correspondence than usual. He explained that as that was likely to continue, the price had to rise. Ms X hasn't decided whether to pursue the matter in court, but has chosen to complain about the service her lawyer provided. She explained that she wouldn't have employed him if she'd known the price would increase. Dissatisfied with his response to her complaint, Ms X turned to us for help to resolve it. She added that as well as the increase in costs for taking the case to court, she was also unhappy with the price charged for the work already carried out. Our view was that the work originally agreed had been completed without unnecessary delay and the firm had acted reasonably. However, we also concluded that there could have been a better explanation of the court costs and how these could change over time. Ms X wasn't satisfied with the recommendation we made. She wanted more money back from her lawyer and asked us to refer the case for an Ombudsman's decision. So that's what we did. The result was that our Ombudsman agreed with the recommendation originally made. We decided that the lawyer should pay Ms X £150 in recognition of the inconvenience caused by this inadequate costs information. The lawyer agreed to this and has assured us that the firm had started to issue client care letters as a result of our involvement. Mr and Mrs A bought their house in 2005 - or so they thought. When they came to sell last year, they discovered that they didn't actually own their home. The solicitor for the people who wanted to buy the house discovered that Mr and Mrs A's names had never been transferred to the Land Registry documents. On the face of it, this looks like a serious oversight by the solicitor who managed the original purchase on their behalf. Mr and Mrs A were not able to sort things out with their solicitor and so complained to us. Ms B is divorced now but has been left feeling dissatisfied with the service her lawyer provided at the time of the divorce. She had asked that the decree absolute should not be signed until all outstanding financial matters with her husband had been resolved. She realised that if it was signed before then, she'd be left in a sticky financial situation. When she was asked to sign the document herself, she did so believing her lawyer had followed her wishes. Unfortunately, as it turned out, a number of money matters had not been dealt with beforehand, as she had asked. So she is feeling let down by her lawyer and unhappy that they hadn't made this clear. Mr C is the executor of his mum's estate. The lawyer acting on his behalf had the task of selling his mother's house and closing her two bank accounts. Mr C is also a beneficiary, so once these things are done, he will receive some money from the estate. A year down the line, and the lawyer has done nothing.. And Mr C hasn't heard from him for two months, despite chasing him on several occasions. Mr C hasn't been able to resolve things with the lawyer himself and so brought his complaint to us. Ms D was sacked from her job, but had the right to appeal against the decision. So she instructed a lawyer to act on her behalf, but they missed the deadlines required for her case to be heard in court. This meant she couldn't go ahead with her appeal at all. She complains that she's been let down by the person she employed to help her. Mr E contacted us to complain about the lawyer who had been dealing with his elderly mother's case. She'd fallen badly and damaged her ankle while out shopping. The 'no win, no fee' solicitor involved has taken three years to conclude that the case is not worth pursuing. Mr E believes that this timescale is unacceptable and has left his mother very distressed. She was under the impression that the case was nearing conclusion. Had she been told about this sooner, we were told, she would have employed another lawyer to deal with her case. Mr F bought a property in London six years ago, knowing that there were problems with damp. He asked his solicitor at the time to make it a condition of sale that the damp would be fixed. His solicitor said it was all fine and so Mr F went ahead with the purchase. When he came to sell, however, a survey carried out for a potential buyer found the problem was still there. It seems that the work had not been done after all. Now Mr F wants to sell up and is insisting that his solicitor pays to sort out the damp and refund the fees that have already been paid to him. Ms G's family has used the same solicitor for generations, looking after the deeds to her house and her will. She contacted the firm a couple of weeks ago as she wanted to make some changes to her will, only to be told that the documents had been lost. The original firm has merged with another one and now nobody at the new place is accepting responsibility for the loss. As a result, Mrs G brought her complaint to us. Mr and Mrs H are finding it hard to sell their home. They bought the house 10 years ago, but they say their solicitor failed to tell them about the public right of way that runs across the back of the house. This is putting potential buyers off. Mr and Mrs H say they wouldn't have bought the house, or would have paid less, if they'd known that people had the right to walk through their garden. They didn't know anything about this until they put their house on the market. Their solicitor says he made the situation clear to them at the time, but the couple have brought their complaint to us. Mr I is in prison. He has been asking his solicitor to forward a few items of personal property for the past two months, but has heard nothing back. These things are really important to Mr I – religious books that he needs to have with him while he's in prison. All he wants is his belongings to be sent to him as soon as possible. He has complained to us that something so straightforward really shouldn't take so long. A complainant from France, who dealt with an English lawyer, bought a 1940s property. She decided to make some improvements to her new home, including changing all of the windows. She then received a letter from the local council telling her the property was listed and she'd need to put it back to its original condition. She's annoyed because her lawyer had failed to mention the fact she was buying a listed building, and she's now faced with the costs of putting the matter right. One very distressed caller wants to complain about the solicitor who has been dealing with her acrimonious divorce. As part of the settlement, the marital home had to be sold. Her solicitor told her that she must be present with her husband when the valuation was carried out. She told him that she didn't want to do this, explaining that there had been domestic violence in the relationship and she wouldn't feel comfortable. Despite her protests, she told us he convinced her that she had to be there. The solicitor joined her for the valuation and her husband also turned up ... with his new girlfriend. The trouble that followed meant the police had to be called and the complainant has told us she has been under a great deal of stress ever since. She wants action taken against her solicitor for the distress caused. A caller wants to complain about the lawyer dealing with his tribunal. The lawyer had taken it upon himself to adjourn the case on four separate occasions - without letting his client know. The latest hearing was scheduled for 29 October, and the lawyer wanted to delay that hearing until December. This was an adjournment too far for our caller, who told the lawyer he wanted his file back and money returned. He heard nothing back following his request. We called the solicitor involved and upon hearing that the Legal Ombudsman was involved, the lawyer agreed to return his client's file and any money owed within the next three days. While the complaints data now published by the LeO does not yet name actual solicitors or law firms, it is envisaged this will come sooner rather than later. The information will certainly carry much more weight in the public’s eyes if actual solicitors & law firms are identified, thus helping to avoid consumers hiring the same ‘crooked lawyers’ who have maligned other clients. Law Society & SLCC much more anti-consumer than England’s LeO.In Scotland, the Law Society of Scotland, Scottish Legal Complaints Commission & Faculty of Advocates all refuse to publish complaints data naming law firms & the many solicitor ‘serial offenders’ or ‘crooked lawyers’ in Scotland’s legal profession. Currently, Scots consumers can only find out if a lawyer has had any findings made against them by visiting the consumer unfriendly Scottish Solicitors Discipline Tribunal website, where details of cases seem to indicate more often than not, ‘crooked lawyers’ who end up in front of the Tribunal even on the most serious of charges, remain in legal practice while clients affected by their actions receive little or no redress. Consumer Focus Scotland support publication of Scottish legal profession’s complaints data. However, while there is still no sign of any similar moves by the Scottish Legal Complaints Commission to name & shame Scotland's many rogue solicitors & law firms, Consumer Focus Scotland have now come out in favour of publishing complaints data, a move which may well help many Scots consumers avoid going to solicitors & law firms who for now, are able to keep their complaints records & regulatory histories hidden from the public. Ensuring establishment support for another 4 years as Justice Secretary ? AMONG the multitude of justice related quango appointments quietly announced in the past week by Justice Secretary Kenny MacAskill, are the reappointments for five more years of former Law Society President Martin McAllister and former Permanent Secretary for the Scottish Government (Chief of the civil service in Scotland), Sir Muir Russell to the quango which recommends the appointments to Scotland’s judiciary, the Judicial Appointments Board, with salaries of £290 per day plus expenses for a meagre time commitment of 20 to 30 days per year. Martin McAllister, former Law Society President. Martin McAllister, who was implicated in the memogate scandal involving the Law Society of Scotland, Marsh and Douglas Mill over ‘claims fixing’ allegations made by Cabinet Secretary for Finance John Swinney, retains his well paid Judicial Appointments Board position on top of yet another publicly funded quango position as part-time Convenor of the Mental Health Tribunal for Scotland with a whopping recession busting payment of £430 per day plus expenses. My earlier report on Mr McAllister's controversial initial appointment to the Judicial Appointments Board, including details of the Law Society’s secret memos implicating his involvement in a scandal which went onto claim the resignation in January 2008 of Douglas Mill the then Chief Executive of the Law Society of Scotland, is here : Justice Secretary MacAskill denies knowledge of ‘claims fixing’ memos identifying former law chief sent to Judicial Appointments. "Mr Mill's memo was written to the then president of the Law Society, Mr McAllister. It refers to the broker of the master policy. Mr Mill suggests that it would be good if he and the others involved all got together and had a "summit meeting" to discuss how to dispose of my constituent's "several valid claims". Mr Mill and I have discussed the matter at length over the years, but I find that a rather strange memo if it is to sit comfortably with the statement that the president has just made. “The memo of 5 July encourages "a summit meeting on the up-to-date position"to be held to look at "both the complaints and the claims aspects." That rather suggests that the Law Society has been involved. The claim remains unresolved to date and yet the memo is dated 5 July 2001." Clearly Mr Swinney’s evidence to the Justice 2 Committee during 2006, which can be viewed in video footage on InjusticeTV HERE, raises serious questions over the honesty of the Scottish Government’s claim not to have known of Mr McAllister’s past involvement in the Marsh memo scandal. In the case of the reappointment of Sir Muir Russell to the Judicial Appointments Board, the former head of the civil service in Scotland, is now better known for his chairing of the Climategate inquiry into into allegations that leading academics at the University of East Anglia manipulated data on global warming. The ‘results’ of that ‘inquiry’ can be found HERE. The Herald newspaper revealed in a report “Holyrood fiasco peer’s £40k for chairing Climategate review” by Paul Hutcheon that Sir Muir Russell walked away with nearly £6000 a month (totalling £40,000) for leading the Climategate probe which unsurprisingly cleared scientists at the University of East Anglia of data manipulation. The Cabinet Secretary for Justice today (22/03/2011) announced the reappointments of Sir Muir Russell as the Chairing Member, and Mr Martin McAllister as a member to the Judicial Appointments Board for Scotland. Sir Muir Russell was first appointed as Chairing Member of the Judicial Appointments Board for Scotland on October 1, 2008 for a three year period. His background is as a civil servant and he held a number of posts before being appointed Permanent Secretary at the Scottish Office in 1998. He was Principal of the University of Glasgow from 2003 until his retiral in 2009. He is a Vice Chair of Governors of the Glasgow School of Art, the Chairman of the Dunedin Concert Trust, a Member of the Board of the Moredun Research Institute, the Chairman of the Council of the Hannah Research Institute and a Fellow of the Royal Society of Edinburgh. This reappointment will run for a further three years from October 1, 2011 to September 30, 2014. He is an experienced chair who demonstrates particular strengths in building relationships both internally and with external partners. This post is part-time and attracts a remuneration of £17,500 per annum for a time commitment of 20 to 30 days per year. He has no other public appointments. Mr McAllister was first appointed as a legal member on September 1, 2008 for a three year period. He is a partner with Taylor and Henderson Solicitors. He is a former President of the Law Society of Scotland and has convened several of its Committees including Legal Aid, Professional Practice and Professional Conduct. Mr McAllister is currently a part-time tutor at the University of Strathclyde and a part-time Convenor of the Mental Health Tribunal for Scotland. As a practicing Solicitor and former President of the Law Society he brings valuable experience of the largest element of the legal profession in Scotland. This reappointment will run for a further three years from September 1, 2011 to August 31, 2014. This post is part-time and attracts a remuneration of £290 per day a for a time commitment of 20 to 30 days per year. Mr McAllister is also a part-time Convenor of the Mental Health Tribunal for Scotland with a remuneration of £430 per day. The Judicial Appointments Board for Scotland was established by Ministers in 2002, and it became an independent advisory non-departmental public body on June 1, 2009. The Board has statutory responsibilities under the Judiciary and Courts (Scotland) act 2008. The Board's role is to make recommendations to Ministers for appointment to the office of judge, sheriff principal, sheriff, and part-time sheriff as well as other judicial offices set out in the Act. All appointments are made on merit and political activity plays no part in the selection process. However, in accordance with the original Nolan recommendations, there is a requirement for appointees' political activity within the last five years (if there is any to be declared) to be made public. There is no political activity to be declared. The role of the Judicial Appointments Board is to recommend to the Scottish Ministers individuals for appointment to judicial offices within the Board's remit and to provide advice to Scottish Ministers in connection with such appointments. The Board is responsible for recommending individuals suitable for appointment to the following judicial offices Judge of the Court of Session, Chair of the Scottish Land Court, Sheriff Principal, Sheriff, Part-time Sheriff, Temporary judges. Ironically, a research report carried out by the Judicial Appointments Board claimed that jobs for Scottish judges were controlled by an old boys network , probably the same old boys network which ensures who gets jobs on the Judicial Appointments Board itself. Scottish Legal Complaints Commission to get more ‘lay’ board members after MacAskill say-so. 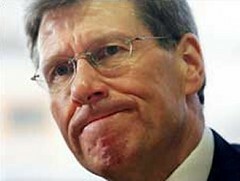 KENNY MACASKILL, Scotland’s Justice Secretary has today announced three new lay member appointments to the board of the scandal hit, anti-client Scottish Legal Complaints Commission, the law complaints quango which was set up in 2008 to clean up on Scotland’s massed ranks of ‘crooked lawyers’. The appointments, one of which contains a soon to retire Grampian Police Superintendent, were made in consultation with Scotland’s Lord President, Lord Hamilton, who must give a wink his approval for the posts to be filled. The new ‘lay’ members to join the board of the Scottish Legal Complaints Commission will bring the number of former Policeman on the SLCC to three, with Superintendent Iain McGrory, who Mr MacAskill states is “about to retire as a Superintendent from Grampian Police after 35 years service”, now joining Tayside’s former Deputy Chief Constable Ian Gordon and former Chief Superintendent Douglas Watson to make three former senior Police Officers as ‘lay members’ on the board of the Scottish Legal Complaints Commission. Like his soon to be ‘ex-cop’ media famous colleagues already on the SLCC’s board, Superintendent McGrory also has some media fame, although this time possibly in a more positive light, for investigating disciplinary matters involving Police Officers, as a Sun newspaper article reports, HERE and a Press & Journal article mentions HERE. The two other SLCC ‘lay member’ appointments announced today are filled by, Fiona Smith, the former HR Director with NHS Orkney, and Siraj Khan who trained as a Barrister. The Cabinet Secretary for Justice today announced the appointment of three new members to the Scottish Legal Complaints Commission. The new members Fiona Smith, Siraj Khan and Iain McGrory. Fiona Smith was until recently HR Director with NHS Orkney, with a wider strategic management contribution as a Board Executive Director, particularly through strategic planning, governance and organisational development skills. Previous roles with Standard Life Edinburgh have included three years as a customer services manager; 2 years as a marketing developing project manager; and four years as organisational development manager responsible for the operational and strategic management of a range of HR functions across Standard Life. Ms Smith brings governance, consumer handling and complaint resolution skills and knowledge to the Board. Ms Smith does not hold any other public appointment. Siraj Khan trained as a Barrister and was called to the Bar in March 2010. He is currently a research student reading for a PhD at the Department of Islamic & Middle Eastern Studies, University of Edinburgh in the area of Islamic Law, Human Rights and Scriptural Exegesis. He has worked as an Immigration Consultant, an Advisor to students and staff at Brunel University and as a private clerk for a Judge at the Immigration Appeals Tribunal in London. He has represented clients in court in immigration, consumer, criminal and other matters and has around two years experience in arbitration and negotiation. He was appointed as the National Outreach officer for a national muslim youth association and since moving to Edinburgh has been appointed as the Deputy Regional Officer for Scotland and currently serves in this role on a voluntary basis. Mr Kahn brings complaint handling experience and a strong analytical capacity to the Board along with a clear understanding of diversity issues. Mr Khan does not hold any other public appointment. Iain McGrory is about to retire as a Superintendent from Grampian Police after 35 years service. He was appointed Head of Professional Standards at Grampian Police in May 2002. He held this post until June 2010, when the was seconded to the Association of Chief Police Officers in Scotland (ACPOS), Professional Standards Business Area, where he has led a small team to deliver proposals for new Police Complaints and Misconduct procedures. Mr McGrory brings extensive experience in complaints handling, and experience in good audit and internal control. Mr McGrory does not hold any other public appointment. These appointments will run for five years from a date to be arranged. These posts are part-time and attracts a remuneration of £212 per day for a time commitment of up to six days per month. The SLCC was established by virtue of the Legal Profession and Legal Aid (Scotland) Act 2007. Its main functions are to resolve complaints alleging inadequate professional service or negligence by legal practitioners, to refer complaints which allege professional misconduct or unsatisfactory professional conduct to the relevant professional body and to promote good practice in complaints handling. This Ministerial public appointment was made in accordance with the Commissioner for Public Appointments in Scotland's Code of Practice. All appointments are made on merit and political activity plays no part in the selection process. However in accordance with the original Nolan recommendations, there is a requirement for appointees' political activity within the last five years (if there is one to be declared) to be made public. There is no political activity to be declared. Representatives of the Glasgow Bar Association ‘hotly’ contest Law Society backed cuts to legal aid fees & access to justice. TESTIMONY from members of the Glasgow Bar Association & officials from the Law Society of Scotland at this week’s Tuesday session of the Scottish Parliament’s Justice Committee over the Criminal Legal Aid (Fixed Payments) (Scotland) Amendment Regulations 2011, which propose a 25% cut in legal aid fees to Glasgow solicitors, raised some interesting viewpoints as to the credibility of the Law Society as a representative & regulatory body for both solicitors & the public. The debate, which featured solicitors David O’Hagan & Gerry Sweeney appearing for the Glasgow Bar Association, and ‘access-all-areas’ Michael Clancy & Andrew Alexander appearing for the Law Society of Scotland, took place after a motion was lodged by James Kelly (Scottish Labour) recommending annulment of the of the Scottish Government’s proposal to cut 25% off the fees for attending Glasgow’ Stipendiary Magistrates Courts where solicitors currently earn £515 for each case. The proposed cut will leave that fee at £390. The motion by Mr Kelly to annul the legal aid cuts affecting the Stipendiary Courts was defeated on a 5-4 vote after the Justice Committee Convener, John Lamont used his casting vote to decide the issue. The lively, if at times tedious debate between solicitors, the Law Society & msps who appear to blur into a striking similarity with each other, lasts nearly fifty minutes and the verbatim account of the proceedings can be viewed at the Scottish Parliament’s website, here : Criminal Legal Aid (Fixed Payments) (Scotland) Amendment Regulations 2011 (SSI 2011/162). Much of the debate is about legal aid fees which lawyers pick up for appearing at Glasgow’s Stipendiary Magistrates Courts along with claims the Law Society has failed to represent the interests of Glasgow solicitors over the legal aid cuts. There is, sadly, little in the proceedings for those who are campaigning for fully independent regulation of the legal profession, or any mention of ideas along the lines of those I have proposed for years, and featured again earlier in the month, HERE. As the debate closed, it should be noted the final say went to the Law Society of Scotland, where the well known Michael Clancy made some rather unconvincing claims about how the Law Society has ‘the public interest at heart when thinking about access to justice issues’. You must be kidding, Mr Clancy. No one outside the Law Society of Scotland’s sphere of influence believes this. Of course, we should be under no illusions about the terms of this debate. Its about money, much more so than regulation or the or creation of separate organisations to represent solicitors & clients best interests. Yes this is very true. However, if this is really to happen, as consumers, campaigners and even some solicitors now recognise, all of us will have to come together to debate & argue for this cause at the Scottish Parliament and in public with the same veracity as the Glasgow Bar Association are arguing their corner over the legal aid fee cuts. A few solicitors & advocates trading doughnuts, a few insults, and throwing street-wise moggies at each other over the issue will not get the job done. However, if the public were to be more widely engaged on the debate, and particularly those with experience of dealings with the Law Society on a wide range of issues (including regulation) allowed to speak, the Scottish Parliament & Scottish Government may finally have to listen and be made to understand the present system of the Law Society of Scotland ruling over all it sees, does not work. If anyone is up for campaigning for necessary & real changes to the legislation which governs those who represent the public and the legal profession, you know where to reach those who share the same views .. if not, well it just wont happen any time soon. Capisce ? Disappearing Act : Not one crooked lawyer prosecuted in two years under Holyrood’s legal complaints reforms. THE latest Annual Report of the Scottish Solicitors Discipline Tribunal (SSDT), the allegedly 'independent' law complaints tribunal which prosecutes ‘crooked lawyers’ after cases resulting from client complaints are sent to it by the Law Society of Scotland, has revealed NOT ONE SINGLE SOLICITOR has been prosecuted under laws brought in as a result of a hugely expensive year long investigation & debate at the Scottish Parliament during 2006 to introduce legislative reforms covering the regulation of complaints against the legal profession. The reforms, which the Scottish Executive & Scottish Parliament claimed would end the bias against clients in a regulatory system operated solely by the Law Society of Scotland where lawyers investigate themselves, were passed by msps in December 2006 after a year of bitter debate at the Scottish Parliament’s former Justice 2 Committee. The validity of the Legal Profession & Legal Aid (Scotland) Act 2007, which is now being questioned even by the Chairman of the SSDT, led to the creation of the equally anti-client Scottish Legal Complaints Commission, which has since been widely discredited by the media. The 2007 Act now appears to have resulted in little or no clean up of rogue elements inside Scotland’s infamously corrupt, solicitor monopolised legal services market. With the revelations of the SSDT’s 2010 annual report that no cases have been passed to it for prosecution under the Legal Profession & Legal Aid (Scotland) Act 2007 which many viewed as a solution to the Law Society of Scotland’s self regulation of complaints against Scottish solicitors, consumer organisations & campaigners have heavily criticised the incompetence of the Scottish Parliament to ensure the 2007 Act produced real consumer protection against poor quality legal service providers. An official from one of Scotland’s consumer organisations who spoke to Diary of Injustice late last week said she was surprised there had been no prosecutions of solicitors under the 2007 Act. She claimed the SLCC lacked any will to do its job, citing an array of failures over the nearly three years the SLCC has existed, failures which include a refusal by the SLCC to monitor claims to the Law Society of Scotland’s Master Insurance Policy & Guarantee Fund compensation schemes, both of which which appear to victimise clients more than compensate them for losses suffered as a result of poor, negligent or even crooked legal service. Law Society of Scotland sponsored amendments at Holyrood ensured complaints reforming legislation was completely compromised. One msp, who figured in the Scottish Parliament’s discussions over the LPLA Act, admitted the reforms were now wifely viewed as “useless”. He also alleged the Law Society of Scotland were allowed ‘too much leeway’ at the time to suggest or introduce amendments to the legislation which resulted in the LPLA Act being completely compromised in terms of its original aims. The msp confirmed he currently receives significant correspondence from multiple constituents who have problems dealing with both the Law Society of Scotland and the Scottish Legal Complaints Commission over complaints against rogue solicitors. He branded both organisations as anti-consumer and accused the SLCC of being as bad as the Law Society over complaints investigations. The SLCC was asked for comment on the apparent lack of referrals for prosecution and asked for an explanation why no solicitors have been referred to or have been prosecuted before the SSDT. Clearly a problem seems to exist where the Scottish Legal Complaints Commission appears to have no powers to refer cases directly to the Scottish Solicitors Discipline Tribunal, a matter now causing great concern to many consumers who feel, with significant justification, they cannot trust the one sided biased Law Society of Scotland or the now equally anti-client Scottish Legal Complaints Commission. Given the SLCC appears to lack powers to refer cases directly to the tribunal, the organisation was asked by Diary of Injustice whether it would be seek an extension to its powers to enable it to bypass the Law Society and deal with the Scottish Solicitors Discipline Tribunal directly. While it is now apparent the Scottish Legal Complaints Commission lacks powers to be a credible regulator what is also apparent is the SLCC has no wish to improve its powers or role as the single gateway for complaints against Scottish solicitors. Can such a regulator be trusted ? I think not. WHERE DID THE DODGY BRIEFS GO ? 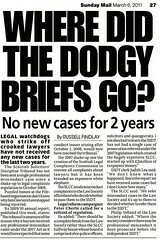 Legal watchdogs who strike off crooked lawyers have not received any new cases for the last two years. The Scottish Solicitors’ Discipline Tribunal has not been sent a single professional misconduct case since a shake-up to legal complaints regulation in 2008. Puzzled bosses at the Fie-based organisation don’t know why bent lawyers have stopped being reported. The 2007 shake-up saw the creation of the Scottish Legal Complaints Commission to oversee all complaints about lawyers but it has been branded an expensive white elephant. The SLCC sends misconduct complaints to the Law Society of Scotland who decide whether to pass them to the SSDT. The bitter battle over the Scottish Parliament’s debate of the Legal Profession & Legal Aid (Scotland) Bill during 2006 saw officials from the Law Society of Scotland argue against the reforms and attempt to counter, even obstruct consumers testimony to msps. Clients who had been victimised by the legal profession were eventually allowed to speak before the Scottish Parliament's Justice 2 Committee, telling msps of their bitter, harrowing experiences with the Law Society of Scotland over complaints against solicitors & law firms. The 2006 Justice 2 Committee of the Scottish Parliament's consideration of the LPLA Bill revealed many suspicious dealings over complaints against the legal profession, even implicating senior Law Society officials interference in complaints & financial claims made against ‘crooked lawyers. The bitter, acrimonious debate at Holyrood reached such a point, the then Chief Executive of the Law Society of Scotland, Douglas Mill issued legal threats against the authority of msps & the Scottish Government to pass any legislation stripping the Law Society of its powers which allow lawyers to investigate themselves. The Law Society’s threat of a legal challenge was backed by a legal opinion from a Liberal Democrat English QC Lord Lester of Herne Hill. The opinion provided by Lord Lester claimed it was a lawyer’s human right to investigate their own colleagues. While it had appeared at the time the Law Society’s threat of a legal challenge against the Scottish Government & Scottish Parliament’s attempt to pass the reforms had failed, several quiet changes to the wording of the LPLA Bill took place behind the scenes and further amendments were drafted which eventually resulted in the Law Society supporting the changes, which clearly amounted to the vested interests of the legal profession getting their way with msps over the interests of consumers. The Scottish Solicitors’ Discipline Tribunal claims to be an independent Tribunal constituted under the provisions of sections 50–54 of and Schedule 4 to the Solicitors (Scotland) Act 1980 (the 1980 Act) as amended in particular by the Legal Profession and Legal Aid (Scotland) Act 2007 (the 2007 Act). The Tribunal sits with two solicitor members and two lay members. The Tribunal claims independence of the Law Society of Scotland with none of the solicitor members being on the Council of the Law Society. Scottish Legal Aid Board remove law firm from criminal legal assistance register. THE SCOTTISH LEGAL AID BOARD (SLAB) revealed yesterday it has finally removed the Paisley law firm of Robertson & Ross Ltd and one of its directors, Fraser Currie, from the list of firms & solicitors registered to provide criminal legal assistance, some eight months on after it was first revealed in the Sunday Mail newspaper in July 2010 there was to be no criminal prosecution of another solicitor Iain Robertson from the same law firm after he returned a a massive £221,847 to the Scottish Legal Aid Board. The Scottish Legal Aid Board said that for law firms to register and remain registered to practice criminal legal assistance, individual firms and solicitors must show that they meet the standards of service set out by the code in three main areas - management and administration systems, standards of service and standards of professional conduct. Clearly, Messrs Robertson & Ross must have failed to meet those those “standards of service” which SLAB claim to rigorously enforce, although why the law firm was not charged with criminal offences is yet to be exposed in a scandal which may well rock the Scottish Legal Aid Board, the Crown Office and the Law Society of Scotland. It should be noted that while the law form of Messrs Robertson & Ross have now been removed from the Criminal legal Assistance Register by the Scottish Legal Aid Board, this move only prevents the law firm from doing legal aid work in relation to criminal cases. It does not prevent them from doing private-fee work as this is outside the Board’s responsibility. Removal of firm and solicitor from the criminal legal assistance register The Scottish Legal Aid Board announced today that it had removed the firm of Robertson and Ross Limited, 7 Causeyside Street, Paisley, PA1 1UW, and one of its directors Fraser Currie, from the list of firms and solicitors registered to provide criminal legal assistance. This means that the firm and individual solicitor cannot now provide criminal legal assistance. The removal of the firm and Mr Currie follows investigations by the Board in relation to the Board’s code of practice for criminal legal assistance and is as a result of further information becoming available to the Board during the July 2010 deregistration of Mssrs. 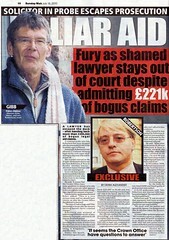 Iain Robertson, director of the firm and Alastair Gibb, a former associate of the firm for similar failings. These investigations revealed significant failures to comply with the code which included the submission of accounts that overcharged travel to prisons.As a result of non-compliance with the Board’s code of practice, the firm of Robertson and Ross Limited previously repaid to the Legal Aid Fund, the sum of £221,847. The Board has a substantial programme of monitoring and investigating legal aid expenditure involving both legal aid applicants and the legal profession. While it can stop solicitors doing criminal legal aid work under its own powers, currently only the Law Society of Scotland can stop solicitors from doing civil legal aid work. Where the Board has concerns about the conduct of lawyers or advocates, it can make formal complaints to the appropriate regulatory body (for example, the Law Society of Scotland, the Faculty of Advocates or the Legal Complaints Commission) and may also forward cases for consideration to the Crown Office Procurator Fiscal Service. In 2009-2010, the Board’s compliance and investigations work resulted in savings and recoveries of nearly £2 million and a number of cases involving solicitors, applicants and legally-aided assisted persons were reported to the Crown Office. While the Press Release from the Scottish Legal Aid Board claims “In 2009-2010, the Board’s compliance and investigations work resulted in savings and recoveries of nearly £2 million and a number of cases involving solicitors, applicants and legally-aided assisted persons were reported to the Crown Office”, raising the probability there should have been several prosecutions of law firms for legal aid fraud, it appears the only people being charged or prosecuted over legal aid fraud, are the applicants, rather than solicitors or law firms … a scandal in the making which will soon be revealed in an upcoming investigation. Consumer Focus Scotland’s support of self regulation closed Holyrood petition, say campaigners. A CLAIM by Consumer Focus Scotland that self regulation of lawyers “brings a number of benefits to consumers” along with a statement by the consumer organisation’s policy of ‘qualified support’ for the Law Society of Scotland’s model of self regulation of the legal profession, is today being blamed by campaigners for the failure earlier this week of a public petition which called for repeal of thirty year old legislation which continues to allow Scottish lawyers to investigate themselves while consumers in England & Wales now have fully independent regulation of legal services via the Legal Ombudsman. The consumer organisation was also criticised by a solicitor for its apparent lack of understanding of how the Law Society’s Council operates behind closed doors, where Consumer Focus’ expectations that yet another, to-be-announced Law Society run Committee with ‘equal lay membership’ will resolve many of the concerns highlighted in the now closed petition. Petition PE1388, which called for the repeal of the Solicitors (Scotland) Act 1980 was briefly heard at the Scottish Parliament’s Public Petitions Committee on Tuesday of this week. However, with all respondents to the committee, the Scottish Government (pdf), Law Society of Scotland (pdf) & Consumer Focus Scotland (pdf) failing to support the petition, it was left to one committee member, Robin Harper MSP to call for it’s closure, citing the highly controversial policy shift by Consumer Focus Scotland as one of the chief reasons the committee should not consider the petition any further. Consumer Focus Scotland’s response to the Petitions Committee also talked about the establishment under the Legal Services (Scotland) Act 2010 of a regulatory committee of the Law Society of Scotland with at least a 50% non-solicitor membership and non-solicitor convener, which in the quango’s view would give the Law Society the opportunity to demonstrate clearly that it is acting in the public interest in carrying out its regulatory functions. One msp speaking to Diary of Injustice over the failure of Petition PE1388 branded Consumer Focus Scotland’s idea that a Law Society regulatory committee with a 50-50 lay member involvement will restore public confidence in regulation of the legal profession as “nonsense”. There was further support today from a Glasgow solicitor who is keen to see reforms & amendments to the Solicitor’s (Scotland) Act 1980. However, he was severely critical of Consumer Focus Scotland for its apparently lack understanding of how the Law Society Council operates, particularly in the light of recent media attention & high profile resignations from the Law Society's Council over backdoor dealings & censorship of some its own members views on everything from regulation to saving money from the legal aid budget. Mr William Burns, the petitioner who brought Petition PE1388 to the Scottish Parliament was scathing of the Petitions Committee’s consideration of the issues. He also revealed the Petitions Committee had refused to allow any oral evidence to be presented on the aims of the petition and public experiences with the Law Society’s control of self regulation of solicitors. Readers should also note demise of another petition this week which the Law Society unofficially objected to, as Petition 1354 calling for Education of legal & consumer issues in Scottish schools was also closed by the Petitions Committee. Consumer Focus Scotland had rather heavily supported this petition as I reported earlier, HERE, however the Scottish Government and various education bodies said the idea was a non starter and with dwindling media coverage due to some over inflated egos, the petition fell flat on its face. It should be noted legal insiders have since claimed talks between the Scottish Government and the Law Society of Scotland have taken place on the issues raised in Petition 1354, as the Law Society is rumoured to be seeking to establish itself as the sole educator of legal issues in Scotland. More worryingly, the petition was also rumoured to have been delayed by the Scottish Parliament, as its own lawyers were involved in an event held jointly with Law Society of Scotland at last year’s Festival of Politics held at Holyrood and chaired by Liz Campbell, the Law Society's director of Education and Training. Those who participated at the event included the latest Law Society Vice President, Austin Lafferty, of Austin Lafferty Solicitors and Law Society Council Member, Gavin Henderson, from the Office of Scottish Parliamentary Counsel and Patrick Gaffney of the Schools Law Web. Scottish Government insiders have since revealed the Law Society of Scotland is attempting to ensure that the Schools Law Web, which claims its aims to bring teachers and lawyers together in an effort to introduce young people to the legal system and those who work within it, will be the sole provider of education of legal services to young Scots. Parents and those concerned with education may well want to take a closer look at this arrangement as time goes on. John Lamont MSP, the Scottish Conservatives Justice spokesman & Convener of the Scottish Parliament’s Justice Committee was asked if the Scottish Conservatives have plans to further raise the issue of teaching consumer & legal issues in Scottish schools, given these subjects are apparently taught in England & Wales. Consumer Focus Scotland were asked today for their comments on the failure of both petitions at the Scottish Parliament. On the matter of Petition 1354 and its closure, a spokesperson for Consumer Focus Scotland gave more hope the issue would be pursued as part of its work on civil justice reform. The spokesperson said : “Consumer Focus Scotland has a keen interest in the issue of pubic legal education. In our report ‘Making Civil Justice Work for Consumers,’ published in March 2010, we identified a public legal education strategy as being the first step in our four-step approach to removing barriers to access to justice. Most recently, the report of the Civil Justice Advisory Group, published by Consumer Focus Scotland in January 2011, made recommendations around public legal education and our consumer agenda for Scottish Parliament, published in February 2011 also highlights this as a key policy issue.